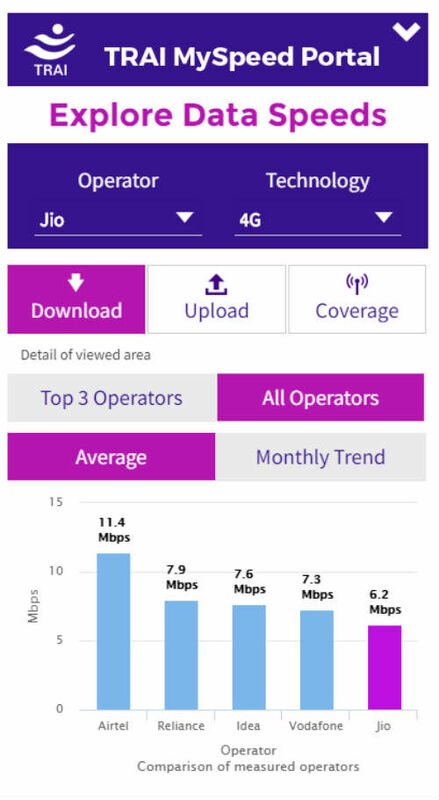 As per the average speed test data from TRAI’s My Speed online portal, Airtel has the highest average 4G speeds across India, while Jio has the lowest. The Telecom Regulatory Authority of India had launched its speed test online portal and app, My Speed, back in July. Since then it has been widely used for checking data speeds across India. 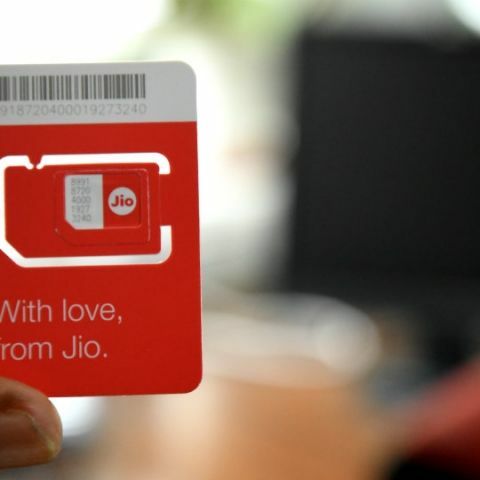 Now, as per the average analysis of internet speeds on the My Speed portal, it has been revealed that newly launched telecom network Reliance Jio is the slowest 4G network in India with an average download speed of 6.2Mbps as per 1552857 speed tests. Airtel tops the chart with an average download speed of 11.4Mbps. 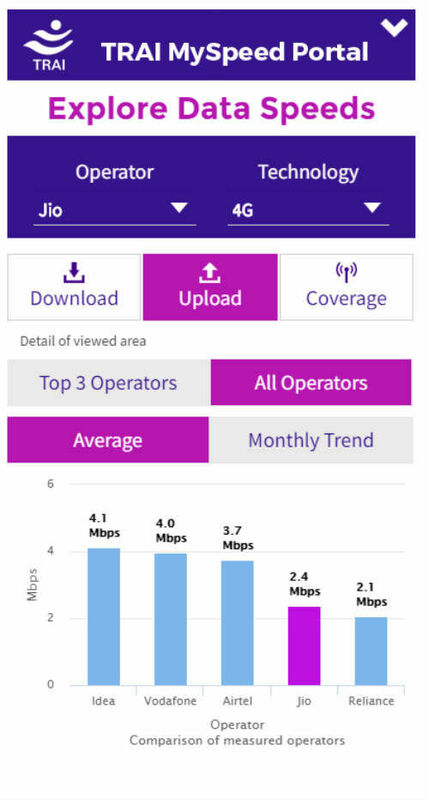 As far as upload speeds are concerned, Idea Cellular trumps Vodafone, Airtel and Jio (in that order) with an average upload speed of 4.1Mbps, while Jio stands at 2.4Mbps. Following is how the telcos stack up against each other.